Would You Read It Wednesday – The 32nd Pitch, And A Tour Update, And A Winner!!! I realize it may not last. It is only March, and this kind of weather usually doesn’t arrive until late April… or late May… ! But boy is it nice while it’s here! Before we get to our Would You Read It pitch for today, we have a couple little items of business. Tomorrow (Thursday) we will get to hear all about her visit to Nice, France with Joanna, so be sure to check HERE! As well as her visit with Penny in Abilene, TX (I think there’s going to be video footage in this one!) which you can see HERE! Anyone who wants to browse or catch up, check out Phyllis’s World Tour Page on the tab above or click HERE. I just have to say, I hope you all are having as much fun with Phyllis’s tour as I am. When I came up with this wacky idea, I never dreamed that everyone would be so incredibly enthusiastic and creative and wonderful! You have all done such an amazing job, and every time I think you can’t be any more awesome, you are! So thank you to everyone who is hosting and posting Phyllis, and to everyone who is reading and commenting and lending their support in other ways. This tour is only what it is because of you! Congratulations, Teri! Lucky you 🙂 I hope you enjoy the book. Please email me and let me know your address and how you’d like the book signed so I can pass the info along to Iza! And now, the other moment you’ve all been waiting for, today’s pitch! The Pitch: Ever since Bria Stone was a little girl, she has had nightmares about shadow-like monsters who claim they’re coming to get her. At age six, Bria had another dream, in which a man with glowing skin told her the monsters are real. When Bria encounters this man – who claims his last name is Everett and that he has no first name – in real life after her nineteenth birthday party, she starts to wonder: if good dreams can come true, does that mean the bad ones can too? Rebecca is looking forward to your thoughts on her pitch! And I am really looking forward to hearing about what Phyllis got up to in France, and Texas! Stay tuned…! Meet Iza Trapani, Author/Illustrator – And A Giveaway! Perfect Picture Book Friday – Kiss The Cow! Thank you!! 🙂 I'll definitely make it shorter! Thanks so much for your input! I'll tighten it up! Thank you so much for all your comments! I'll try to shorten it and keep more focus without giving away too many details! Thank you so so much! 🙂 It means a lot! 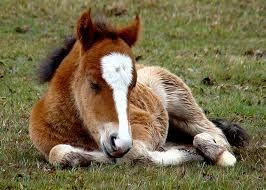 That colt is precious!!! Love it! Congrats to Teri. Lucky girl! Do you eat four-leaf clovers or something? I would read the book. I do think it needs tightening. You could cut down on the details. I love scary books and it sounds as if it would be plenty scary. As far as the world tour….I am having a blast following Phyllis! *waving hands above head* I'm a groupie! I'm a groupie! This is a beautiful blog and I am a new follower. I have such a passion for reading and I can't wait to share this with my fellow teachers. WOW! Welcome, Deb! And thank you so much for your kind words and for becoming a new follower. So glad to have you here! I'm following your link over to visit your blog!